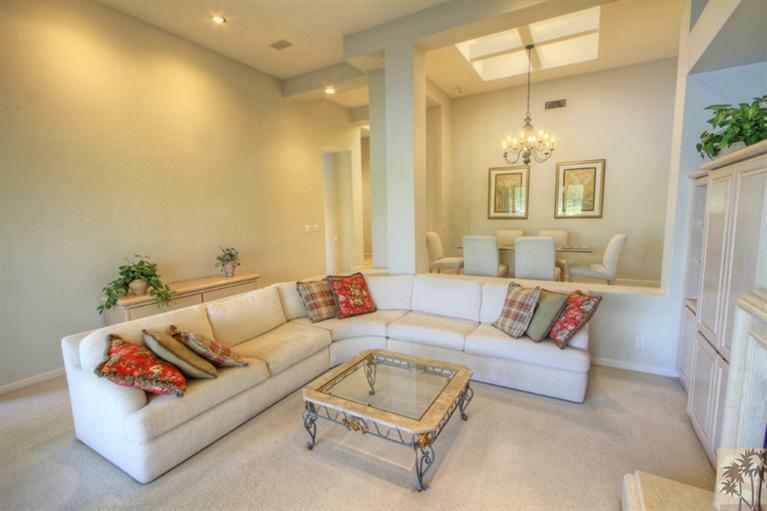 Popular west facing Acacia 5 floor plan with endless lake, fairway & mountain views. 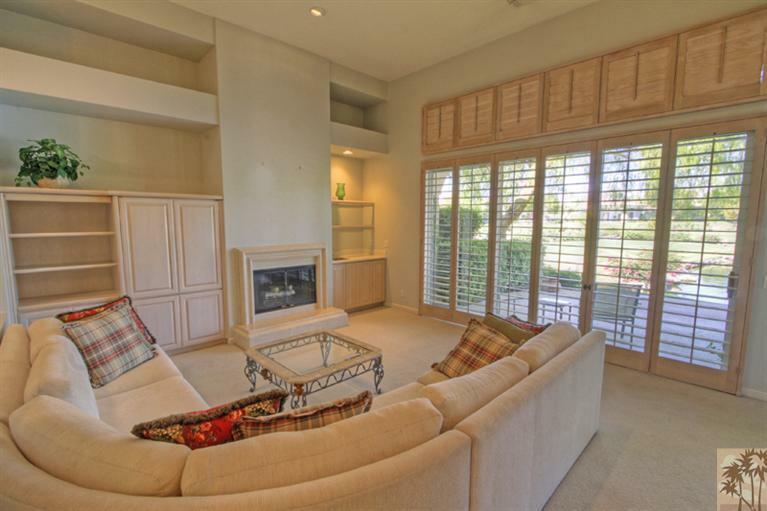 Features include granite countertops, stainless steel appliances, custom shutters, built-in BBQ & tasteful furnishings throughout. Enjoy soaking up the afternoon sun as you watch golfers tee off on the 7th hole of the Grove course. Great location with a community pool just a few doors down. 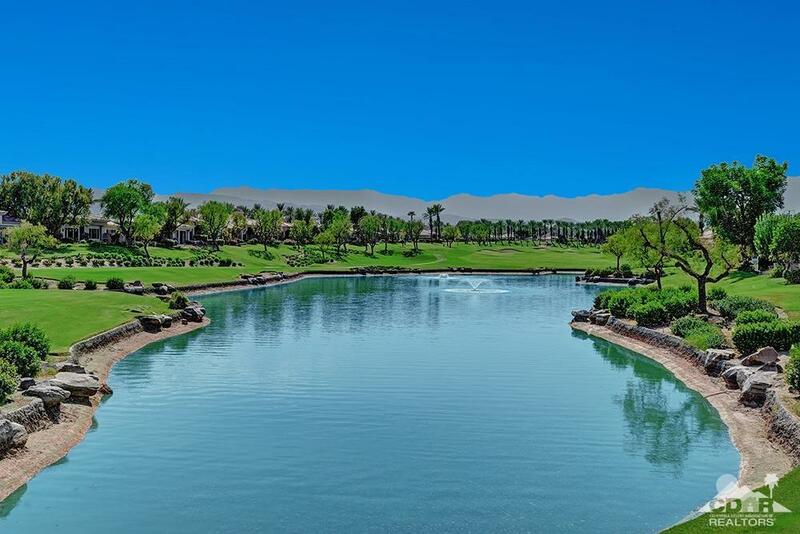 Indian Ridge CC is one of the desert's premier private country club communities, central location in the Palm Desert area, close to Interstate 10 & the airport. Only a short distance from great shopping on El Paseo & many outstanding restaurants and entertainment throughout the Valley. 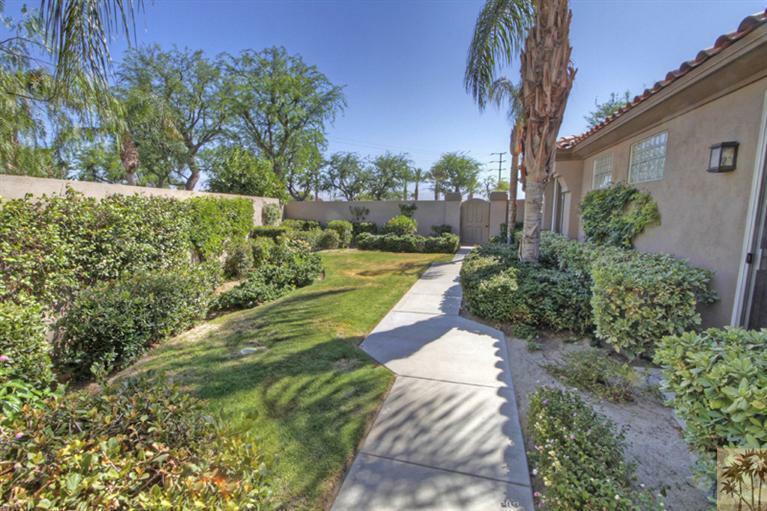 All of Indian Ridge is nestled among beautiful palm trees & perfectly manicured grounds. Within the community you'll also find Rover's Ridge, a dog park exclusive to Indian Ridge homeowners. Once you enter the gates, you will discover a lifestyle you could never imagine existed! Furnished per inventory list. Golf membership available.